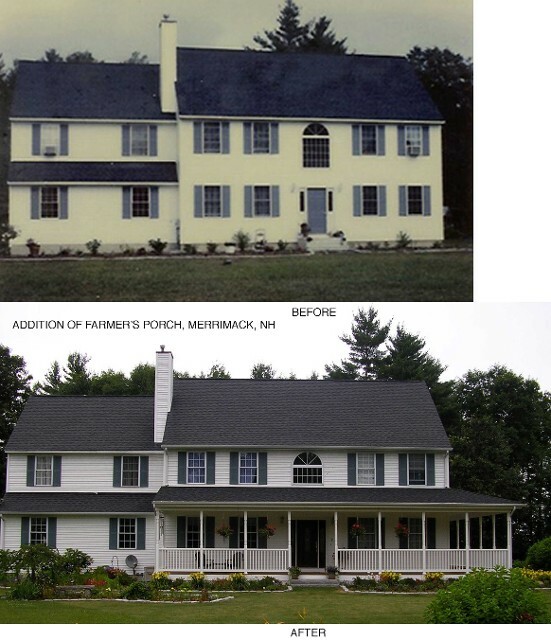 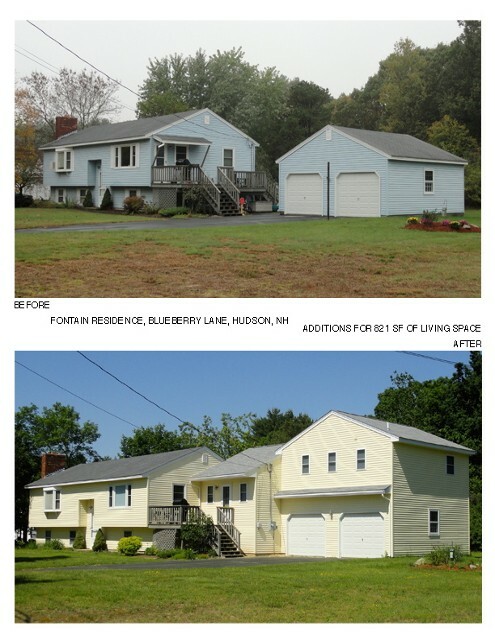 On this page you can scroll down to view "Before/After" pictures from a variety of projects by Eskin Associates Architects, for whom Residential Additions has become a specialty. 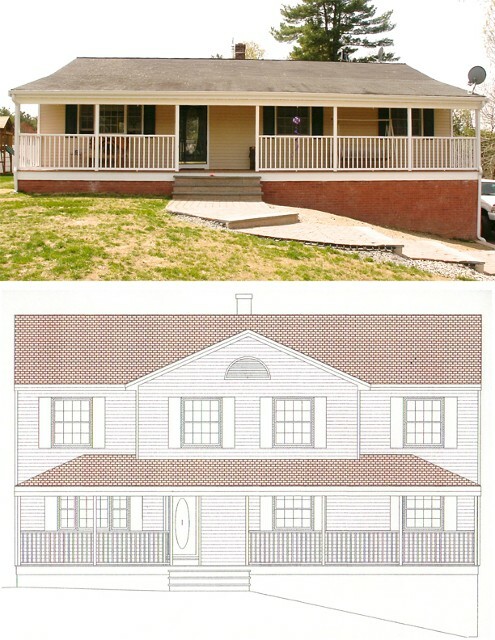 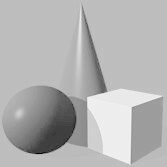 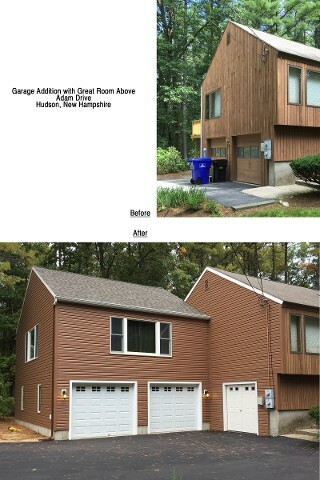 If not properly designed, an addition can look like an after-thought, and detract from the value of your house. 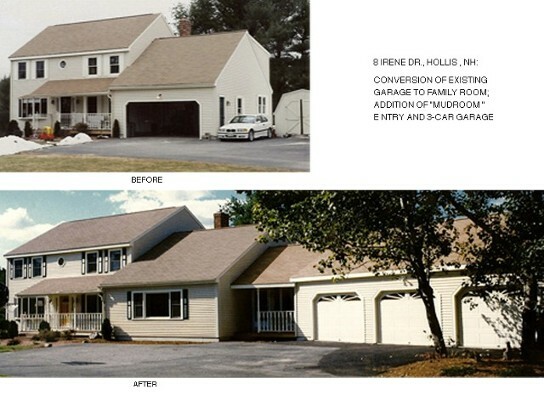 But with Eskin Associates as your architect, it doesn't have to cost any more for an addition to enhance the value and aesthetic appeal of your home. 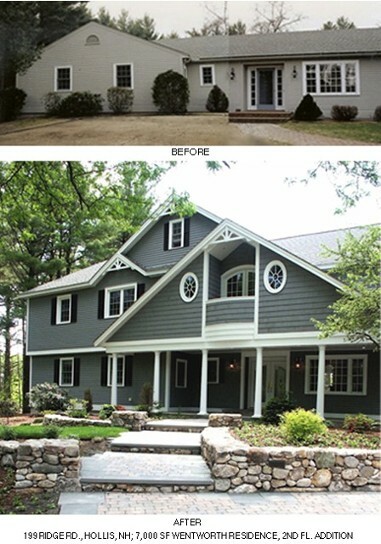 This first set of "before/after" photographs, offers an overview of a large traditional ranch, for which we reconfigured the existing first floor, e.g., the new first floor master suite replaced three pre-existing bedrooms, and a full second floor addition was added to create this 7,000 +/- square foot spectacular residence. 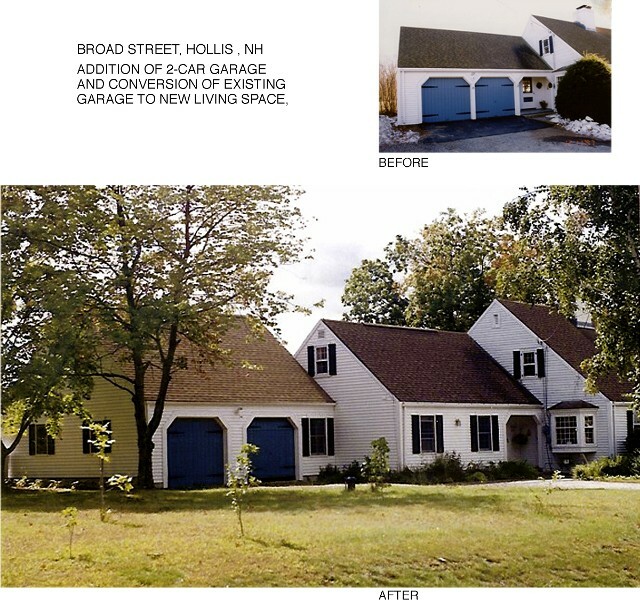 A detached 5 car garage, with living space above, was also part of the original project, created with design elements to echo features of the main house. 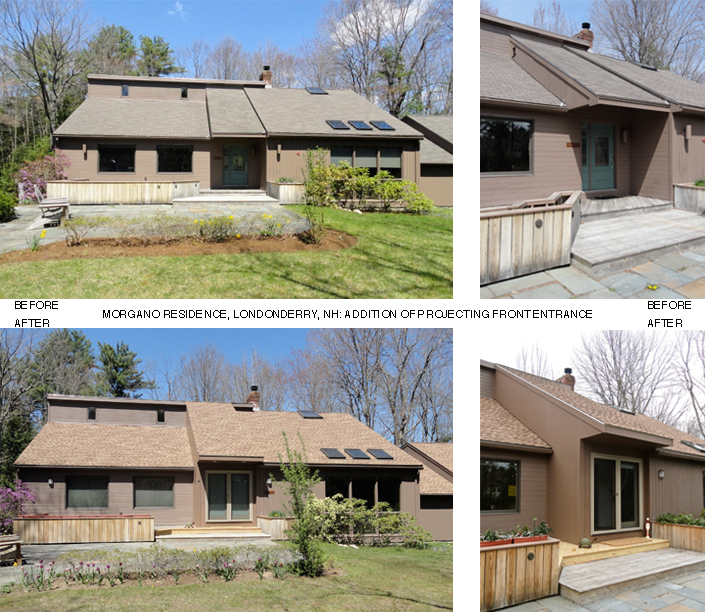 Weekly meetings with the homeowner, for a collaborative design process over a period of months, produced this fabulous home. 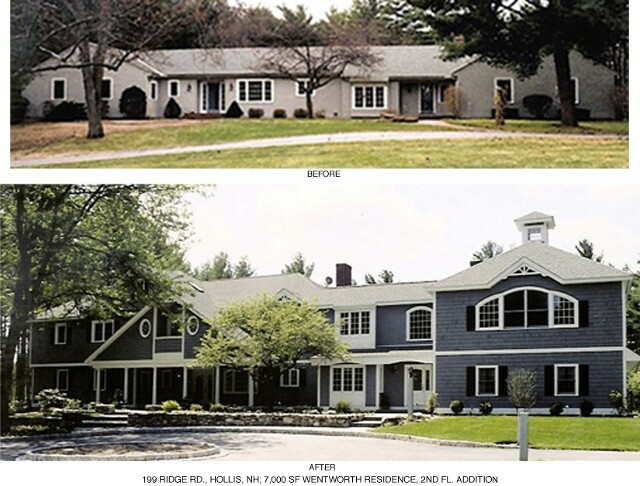 The "Before/After" composite pictures above, offer closer views of the left-front, now grand, main entrance to this house, and on the right, the equally dramatic conversion of the secondary front entrance off of the circular drive. 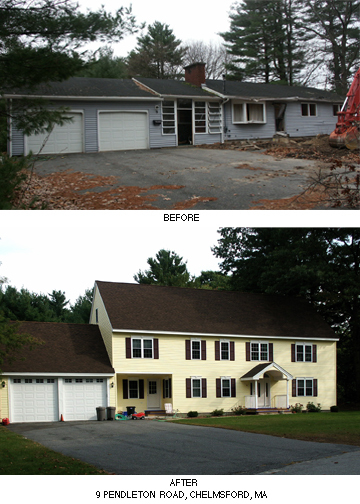 This final set of "Before/After" photographs of the Wentworth residence, is of the rear, foyer and bedroom wing. 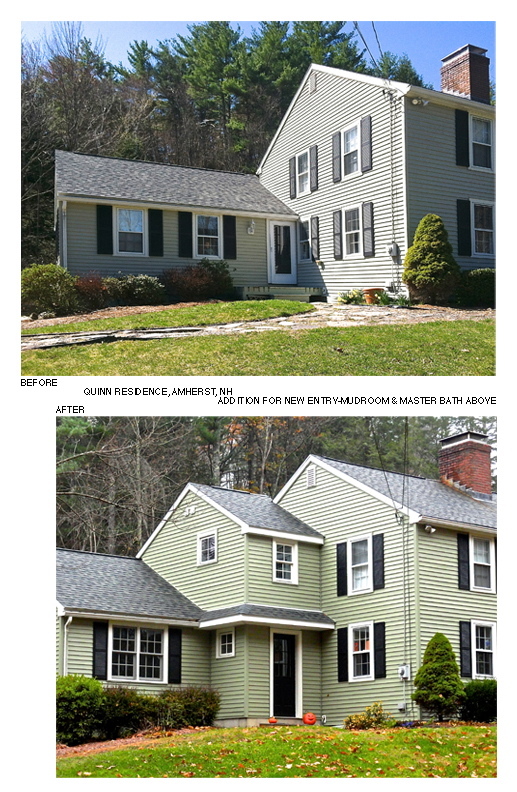 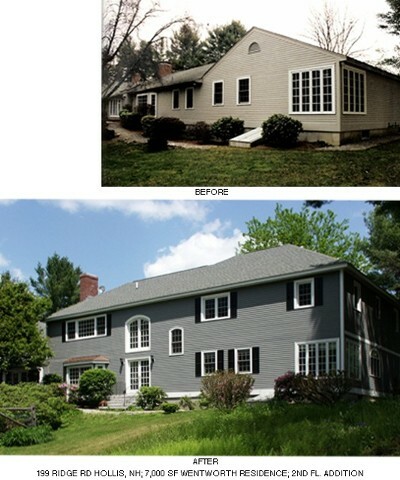 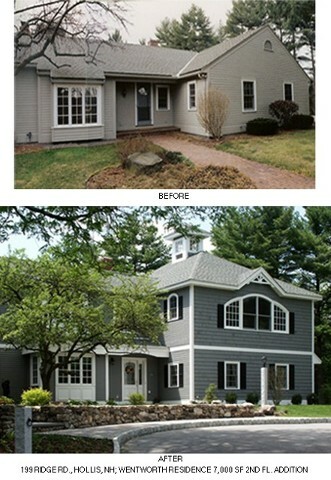 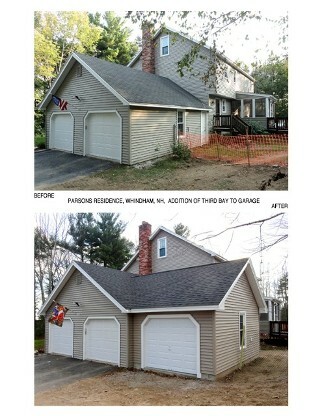 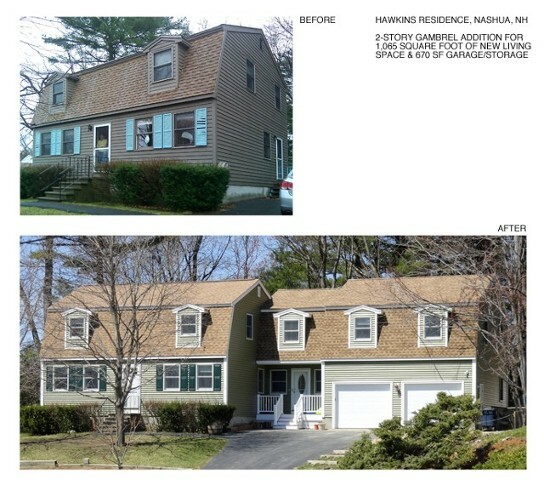 These "Before/After" photographs show how dramatically an Eskin-designed addition and remodeling can improve the curb appeal of a house. 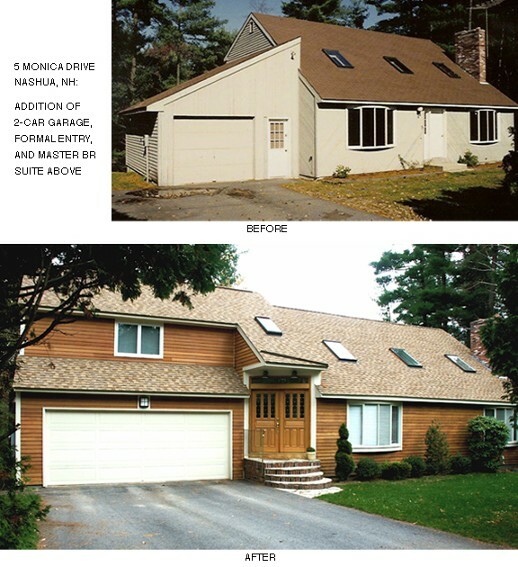 This 28' x 24' addition and redesign, converted the original center door/living room entrance, salt-box/cape with attached one-car garage, to a more contemporary style home with formal, two-story high entrance, and a two-car garage with master suite above. 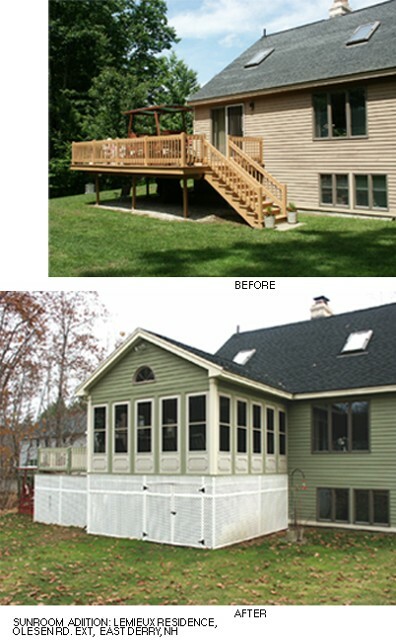 The enhanced functionality and increased living space was further supplemented by the addition of a sunroom at the back of the house. 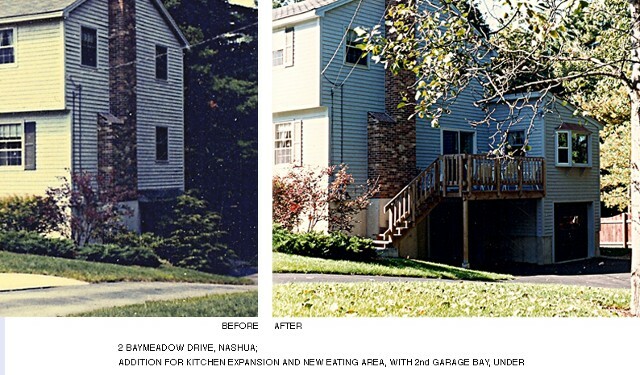 This pair of "Before/After" photographs again shows how much a functional, sensitively designed, addition can add to the aesthetic appeal of a home. 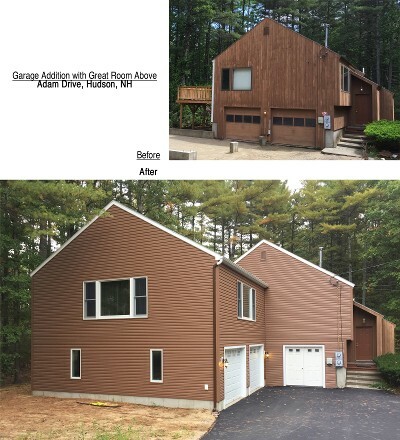 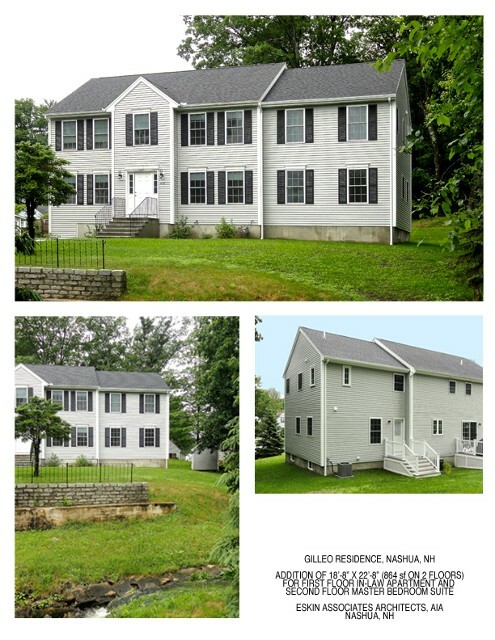 This two-story, rear addition, included a first floor great room with direct access to a four-season room, and featured an oak spiral staircase to a new loft/home office area, that connected to the existing master bedroom. 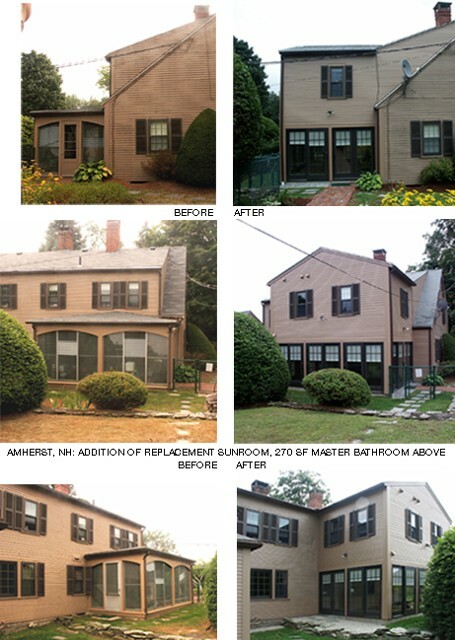 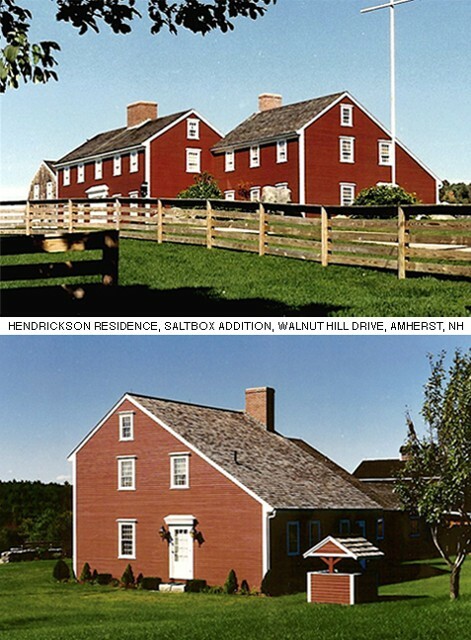 This set of "Before/After"photographs illustrates how a rear addition, that more than doubles size of the pre-existing house, can be designed to respect the scale and echo the style of the original house, to assure aesthetic compatibility, and produce this dramatic result. 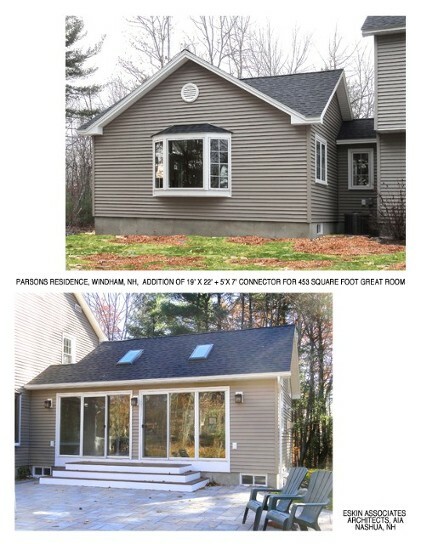 The addition included multi-level decks, a sunroom, and a new kitchen, opened to the great room, which featured a corner gas-fireplace and spiral staircase up to the new second floor master suite with extra bedroom. 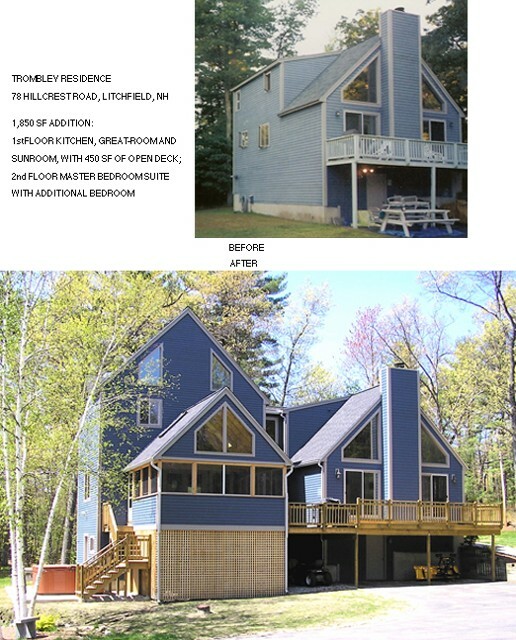 Attention to detail and proportions was critical to the successful design of this project, for which one of the prime design criteria was that it not look like a conversion/addition. 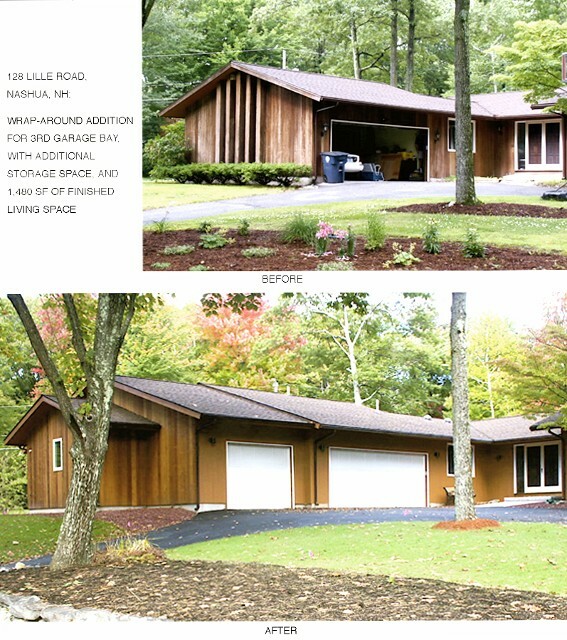 The original garage was converted to a family room, and a farmer's porch entry to the new "mud-room" was designed as a set-back, transition element to the new three-car garage, that was off-set at an angle, to follow the property set-back lines, and to minimize an elongated appearance. 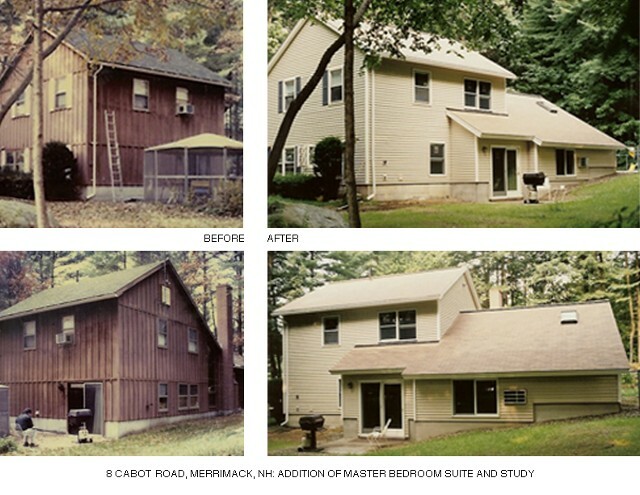 All facia boards were detailed to be in alignment and all roof pitches consistent, so that the addition blends harmoniously with the original home. 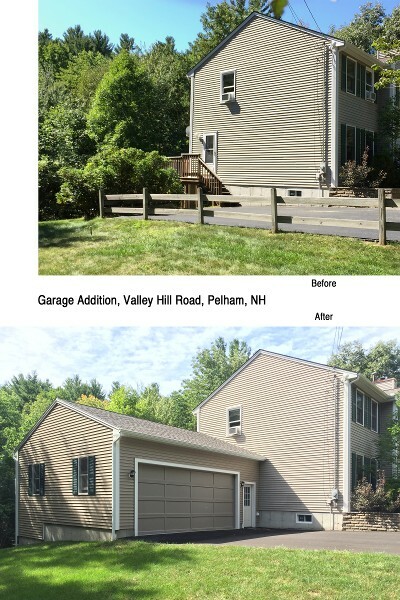 This 821 sf addition to a conventional split entry with detached garage presented some interesting design challenges for the new connecting mudroom, which as a transition space, had to provide lots of closet storage as well as front and rear entrances, and access to the grade-level garage, and to the new living space over that garage, all within the confines of the limiting open area between the two structures. 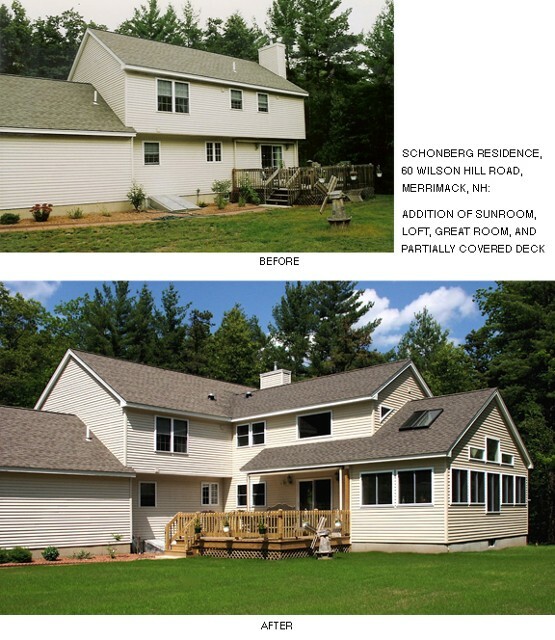 Click here to see the interior of this "in-law" addition.